A credible voter register gives legitimacy to the electoral process and helps prevent electoral fraud. However, voter registration remains a complex and contested task. It is one of the most important activities that an electoral management body needs to conduct, but it is also one of the most costly in terms of both time and resources. Many countries that face challenges in creating an accurate voter register are considering reforming their voter registration systems through the introduction of biometric technologies. The drive towards biometrics has been facilitated by its largely apolitical nature. Investing in high-tech solutions allows stakeholders to demonstrate their commitment to resolving electoral problems. At the same time, expectations on biometric solutions may be exaggerated. 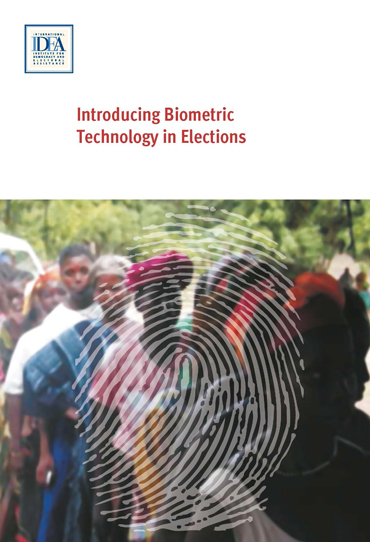 This guide provides an overview of key concepts and considerations for all stakeholders involved in discussions about the application of biometrics in elections, both for voter registration before an election and for voter verification at polling stations on election day. Learn the global patterns of usage of ICTs in elections and the problems and challenges countries are facing today. La Red Mundial de Justicia Electoral busca fortalecer la gobernabilidad democrática global. Aquí, foto oficial de su Segunda Asamblea Plenaria. Miguel Angel Lara Otaola, Jefe de la Oficina para México y Centroamérica, se reunió con Yuri Beltrán Miranda (izquierda), consejero electoral del Instituto Electoral de la Ciudad de México, para explorar posibilidades de colaboración entre ambas instituciones y acompañamiento a los procesos de participación ciudadana en la Ciudad de México.